We are Provided Textile Chemicals, cleansing chemicals are formulated under the supervision of professionals by making use of the high grade surfactants, inorganic salts, enzymes, oxidizer or bleach and other ingredients. In addition to this, we follow defined quality standards of the industry while formulating these cleansing chemicals. Blessed & supported by the team of adroit professionals, our company is considered as one of the eminent manufacturers and exporters of Acid Slurry. We have with us modern in-house facilities which enable us to formulate wide range of chemicals for our widespread customers. Our offered chemical range is generally used in the formulation of synthetic detergent powders. Some of the remarkable features of our Acid Slurry are high effectiveness, accurate composition and purity. 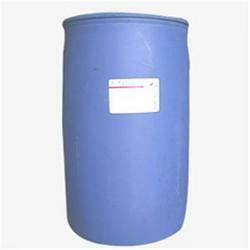 It is widely used in increasing the surface area of distempers. Since the inception of our company, we have acquired a strong foothold in the detergent industry and reckoned as one of the topmost manufacturers & suppliers of Linear Alkyl Benzene Sulphonic Acid. 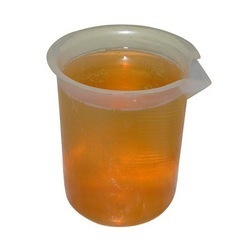 Our offered acids are widely used in the formulation of a variety of synthetic detergent liquid, powders and detergent cake. This Linear Alkyl Benzene Sulphonic Acid is well appreciated in the market for its remarkable features such as accurate composition, purity and longer shelf life. Holding years of experience & knowledge in the detergent industry, our company has been able to mark its strong presence in the market as one of the most excellent manufacturers and suppliers of Textile Chemicals. 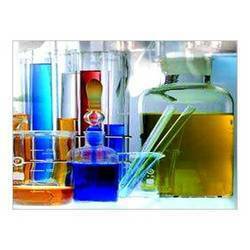 In compliance with industry quality standards, we are formulating vast range of chemicals. Widely demanded in the textile industry, our offered huge range of Textile Sizing Chemicals is highly demanded in the market. Longer shelf life, high efficiency and purity are some of the key attributes of our Textile Chemicals. These are used as an electroplating agent to stabilize higher pH solutions.